I think what Veronica’s story, and the many others like it, highlight is the deficiencies of a system that disempowers teachers and lacks appropriate checks and balances. 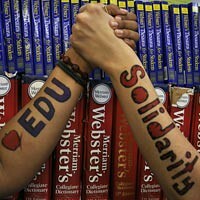 In a system where teachers were treated like true professionals, all of the attention for “reform” would not be on us. For instance, in Denver, we actually have a pretty good evaluation system, that takes into account multiple measures and aspects of teacher performance. The problem is that it’s not used properly, because of the lack of checks and balances. Colorado’s solution to this was to pass a bill allowing for greater emphasis on test scores, rather than improving the multi-measure system we already have. This is a gigantic step backwards. Principals here can– and some do– ignore proper evaluation protocols, lie, harass teachers, shirk their responsibilities and otherwise subvert a decent system because no one checks up on them, or holds them accountable when they create problems. Though there are decent people in the system, there is no means of guaranteeing that everyone HAS to be, because when push comes to shove, our district will throw even great teachers overboard to protect the status quo, which benefits them. When the schools “fail”, they can continue to scapegoat teachers, since we’re already a whipping boy in the media, and blaming us frees them from the having to do the difficult and humbling work of reforming the systemic problems they have fostered. This is my fundamental problem with mayoral control, an overzealous federal education department, and the top-down “reform” agenda pushed by wealthy businessmen. Remember that old adage, “Power corrupts, and absolute power corrupts absolutely?” When power is concentrated in too few hands, there is no accountability for anyone but the least powerful. The checks and balances that lead to fairness and genuine improvements in the system are lost. For instance, New York City’s teachers are now partially evaluated on the basis of their students’ test scores, but the powerful people who inflated and manipulated those scores face no consequences. When angry parents and community members demand answers, they are demeaned and ignored– and why not? It’s not like they have a vote or anything. Advocates of top-down control like to say that extreme executive power is necessary to override the “vested interests” (you know, pesky teachers and their unions; and those awful Americans who actually expect to have a voice in major decisions that affect them…) that stall change. And if nothing else, executive control of education means that if you’re the executive, and people are unsatisfied with their schools, their only recourse is to vote you out of office. 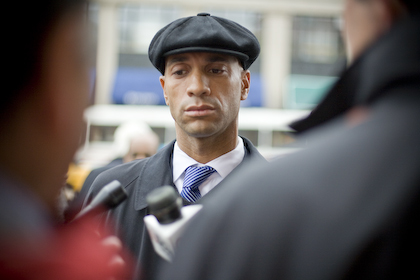 Adrian Fenty just learned that the hard way. Who’s next? Your post exposes a huge part of the problem. Also remember there is still a lot of racism, sexism, and classism. In addition, the current factory/business mindset also promotes this kind of thinking. No one is watching the hen house while the foxes ravage the hens.